The most of the products we use in our daily life are made up of chemicals. Chemical Engineers discover and manufacture better plastics, paints, fuels, fibers, medicines, fertilizers, semiconductors, paper, and all other kinds of chemicals. Chemical Engineers also play an important role in protecting the environment, inventing cleaner technologies, calculating environmental impacts, and studying the fate of chemicals in the environment. can be used to produce all kinds of useful products. Chemical engineering deals with the application of physical science with mathematics, to the process of converting raw materials or chemicals into more useful or valuable forms. In addition to producing useful materials, modern chemical engineering is also concerned with pioneering valuable new materials and techniques - such as nanotechnology, fuel cells and biomedical engineering. 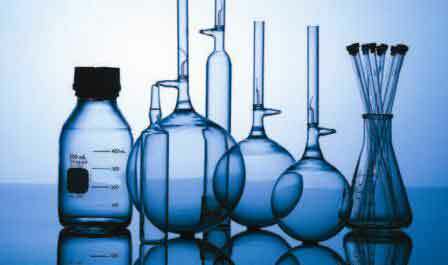 Chemical engineering largely involves the design and maintenance of chemical processes for large-scale manufacture. Chemical engineers in this branch are usually employed under the title of process engineer. The basic eligibility criteria for a BE / B.Tech is 10+2 or equivalent examination, with Physics, Chemistry and Mathematics. To become a chemical engineer one should have a graduate degree (B.E / B.Tech) or postgraduate degree (M.E) in Chemical Engineering. There are both degree as well as diploma courses. One can go for the 3 year diploma course after the 10th standard (SSC). They can seek jobs in areas such as processing, operations or manufacturing, research and development, design and construction, finance and teaching. They may also pursue a management degree after B.Tech and take on marketing jobs. Candidates with an additional management degree are sought by private industries. In process industries they could work in positions such as a supervisor or manager, technical specialist, project manager or project engineers. Among the manufacturing industries, pharmaceuticals provide the best opportunities for chemical engineers. In the government sector, chemical engineers are employed to solve environmental problems such as waste and water treatment, environmental regulations and recycling; on energy sector such as energy conservation and research on alternate energy sources and health-related research projects, defense establishments and atomic power plants. They are also employed in service industries such as scientific research and development services, particularly in energy and the developing fields of biotechnology and nanotechnology. Other work areas of chemical engineers include food processing, coal preparation and mineral processing, explosives manufacturing, chemical process industries such as fertiliser industry, including pesticides and herbicides, caustic soda, glass and specialty chemicals, dyes and dyestuff, paint, lubricants, steel and aluminum production. They are also employed in a variety of manufacturing industries other than chemical manufacturing, such as those producing electronics, photographic equipment, clothing, pulp and paper and even in the development of aircrafts.